Trucks Online is a dedicated Commercial Vehicle marketplace, updated in real time with 1000s of trucks listed. 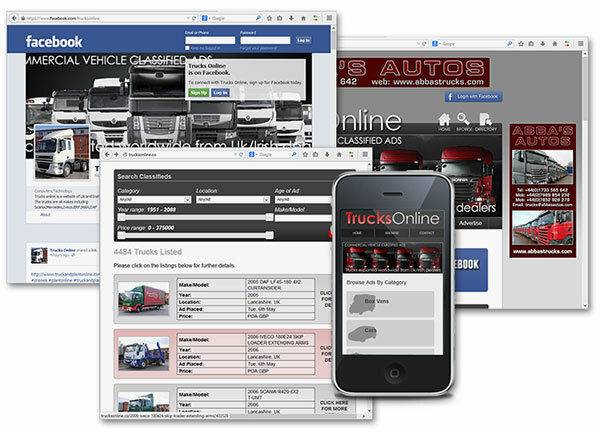 Available on the web, mobile optimised app, and through Facebook via a sophisticated Ajax search App, Trucks Online offers maximum exposure to its dealers with thousands of unique daily worldwide visitors. Trucks Online has a massive Facebook presence, and we proactively market to this enormous audience.